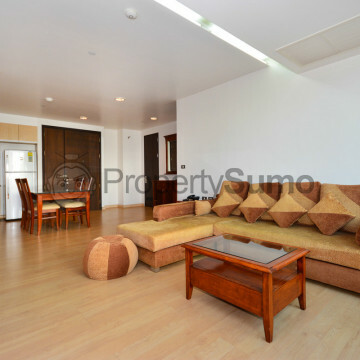 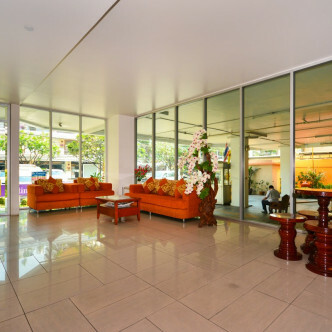 This elegant low rise apartment building was completed in 2006 and features 33 spacious and fully furnished units for residents to choose from. 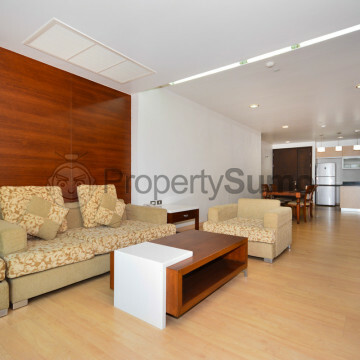 The Pentacles features an innovative design that really makes it stand out, while each of the units boasts a large number of luxurious touches as well as a full range of modern amenities. 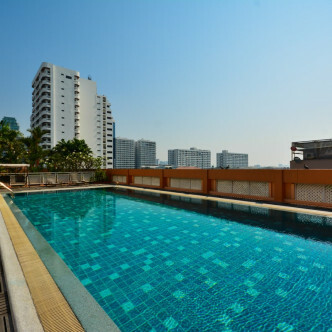 Residents are sure to enjoy making use of the large number of facilities that are available for them to use. 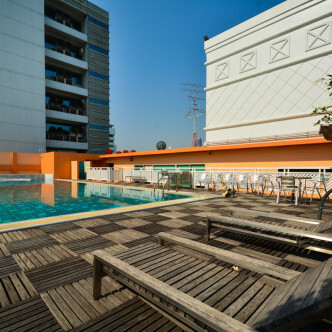 The large sundeck is set with sun loungers that are just waiting to be used and stand at the side of a huge swimming pool. 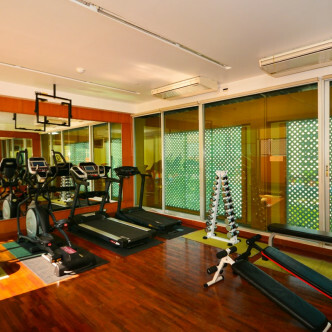 The building also boasts a fully loaded fitness centre complete with a sauna and a gorgeous garden to unwind in. 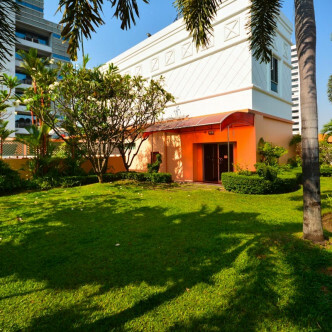 The location of The Pentacles strikes the perfect balance between serenity and convenience and the building can be found on a quiet side street in the Thong Lo area. 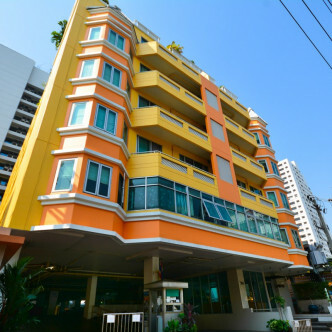 However, Thong Lo BTS station is set within easy walking distance of the building and taking a stroll through this neighbourhood will also take residents to a wide range of popular restaurants and bars.